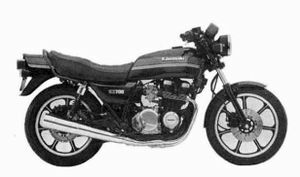 The Kawasaki KZ700A is a motorcycle produced by Kawasaki in 1984. 1980s motorcycle Tariff busting version of the KZ750B. Basically same as Z(KZ)750-L but with 700 mL engine.